The Bag Boy Company, a leader in the golf industry known for the quality, durability and innovation of its products, is thrilled to announce the renewal of their partnership with IAGTO for its second consecutive year. IAGTO, the International Association of Golf Tour Operators, is headquartered in London, England, with locations worldwide. IAGTO’s mission is to network and develop partnerships to connect the golfer to a premier golf package, including golf resorts, hotels, travel, and more. IAGTO will be specifically showcasing Bag Boy’s line of travel covers and travel accessories. Travel covers are an important aspect to any traveling golfer, as it is crucial to keep golf clubs safe and free of damage. 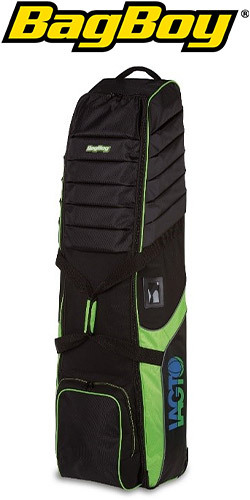 Bag Boy’s travel covers lead the golf industry and come in many different variations. To see the complete line, go to www.bagboy.com. Founded in 2004, Dynamic Brands is the parent company for a portfolio of premium brand name companies committed to the development of innovative, quality products and outstanding customer service in the sporting goods industry. Golf and recreational products are offered through Bag Boy®, Burton®, Datrek® Golf, Devant Sport Towels®, IGOTCHA®, Riksha®, SEARCH 'N RESCUE® and FLAGPOLE-TO-GO® brands, and include walking carts, golf bags, travel covers, custom sport towels, bag tags, golf ball retrievers, flags and accessories. Dynamic Brands' products are marketed in 87 countries worldwide. For more information, please visit www.dynamicbrands.com. Follow us at www.facebook.com/dynamicbrandsrva and www.linkedin.com/company/dynamic-brands.